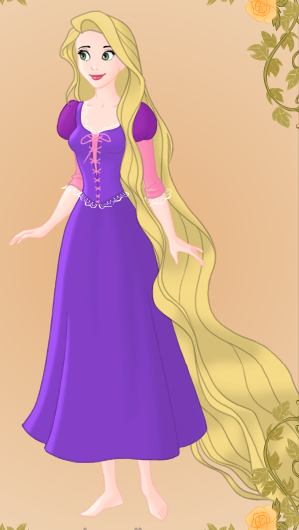 Rapunzel was the first Disney CG Princess and I was skeptical, but very quickly blown away and loved her. The amount of singing was noticeably high, but except for when she first left her tower, was actually pretty spot on, and Flynn even hung a lantern on how odd it was (the ruffians singing was completely surprising). But what I loved was seeing her pure-heartedness and enthusiasm for the world (what’s a Disney princess without a trip to the library?) and her sheer childlike giddiness and joy from the town. Seeing Flynn’s cynical expression soften over the film was equally if not more, moving. Both of them grew up, left their comfort zone, and had their trust and faith in each other tested in horrible ways. I was impressed with how much they added to the story and the forms it took (though with so many Doctor Who references, it almost felt like stealing). It became a tender story where the characters became very vulnerable and exposed to each other but they embraced that. I can’t figure out where my friend posted so I’ll post my response to what he said to me here. For him, Tangled is when Disney Princess movies started getting interesting because it played more with mentality. So mentality and moral grey areas came up for him here. Things were not black and white, absolute good and evil there. You can see why Mother Gothel would want to hoard Rapnuzel’s hair and play the games she did to keep it to herself. Flynn had a change of heart. Was Rapunzel in the wrong for disobeying a over protective confining parent? I agree there are more levels of complexity in this movie which carried on to Frozen. He also said it was weird for guys to grow up watching the Disney Princess movies. I took this as that girls are confined to acceptable spheres (domestic and easy professions), whereas guys have to roam around the earth for experience an hunt for a girl because they aren’t supposed to leave home. Classically illustrated, Phillip was having fun enjoying a ride whereas Briar Rose was told not to go too far. He went back to the castle, went to her cottage, got kidnapped and taken to a castle and returned, but had to slay a dragon while she went home and slept. But on the other hand, Cinderella moved around more than the Prince who couldn’t leave the palace to look for himself. Mulan could only move anywhere by marriage or pretending to be a man and Rapunzel had to run away. Tiana is also restricted by social constraints and money to stay home. Merida, Pocahontas, Belle, Anna and Elsa all had the freedom to go where they wanted. Pocahontas chose to stay at home in one movie then to stay in England in the next. I see his point that the guys kinda do/did the heavy lifting in those movies, which is why I want more diversity- women can also fight monsters (or befriend them, but please show that they are still capable if they are fighters) or other ways of showing a female character’s use that is equal to the male characters’. Milo had to save Kida even when she got the crystal’s power. Eric killed Ursula. Phillip killed Maleficent.